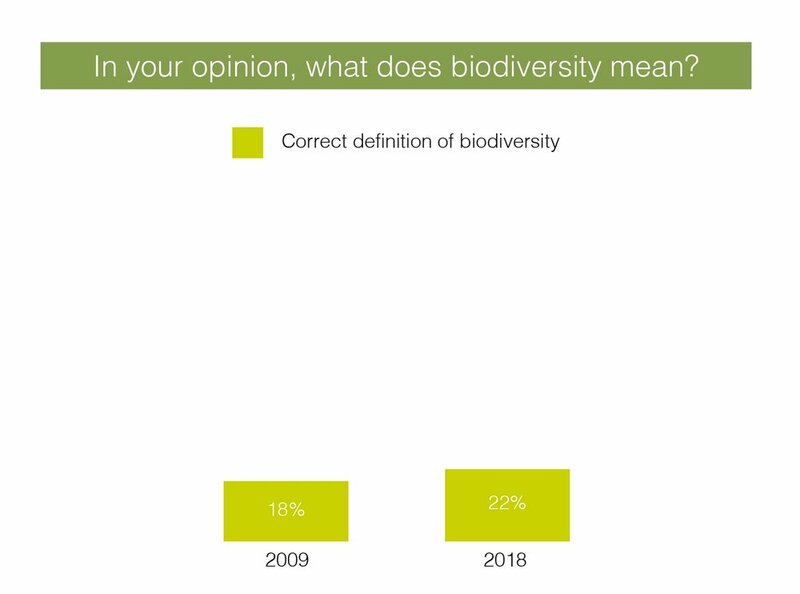 Between 2009 and 2018, ten thousand persons were interviewed in the UK on behalf of UEBT about their awareness of biodiversity, their expectations on brands' respect for people and biodiversity, and their purchasing decisions. This page shows the answers of British respondents in the UEBT consumer surveys ran in 2018. Street videos shooted in 2016, illustrate the survey outcomes, offering a unique and fun opportunity to view the evolution of the results. 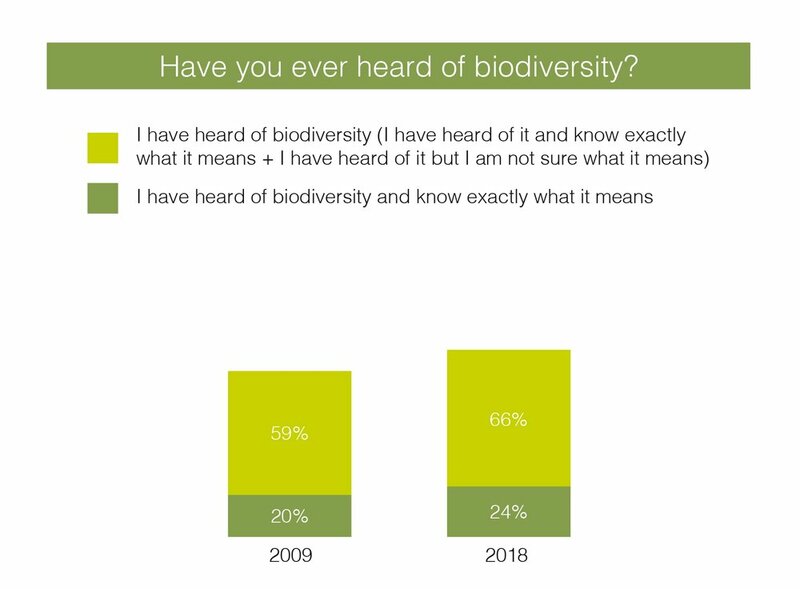 66% of British respondents have heard of biodiversity in 2017 up from 59% in 2009. Even though the UK ranks third in biodiversity awareness among the 5 countries surveyed, the level of biodiversity awareness has not increased significantly over the past nine years (+7pts). 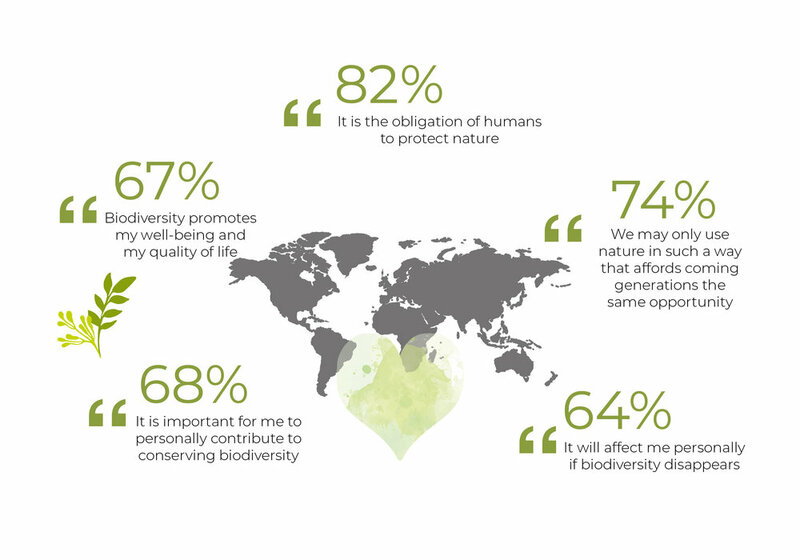 Only 22% is able to define biodiversity correctly. British consumers believe that it is the obligation of humans to protect nature and that we need to leave next generations with the same opportunity. However, when compared to other countries they are less involved and are fewer to think that biodiversity loss would affect them personally. British consumers strongly believe that companies have to play a positive role. Indeed, 74% of them think companies have a moral obligation to make sure they have a positive impact on society, people and biodiversity. However, only 32% of British respondents say they are confident companies pay serious attention to ethical sourcing of biodiversity. The confidence in companies is higher compared to 2017 (+7pts) but still remains very low, thus showing that British consumers still need some proof from companies on their involvement towards biodiversity. Having an independent organization verifying the companies commitments to ethical sourcing (67% agree) and being informed on companies concrete actions (64% agree) would be two most important elements of reassurance for them. 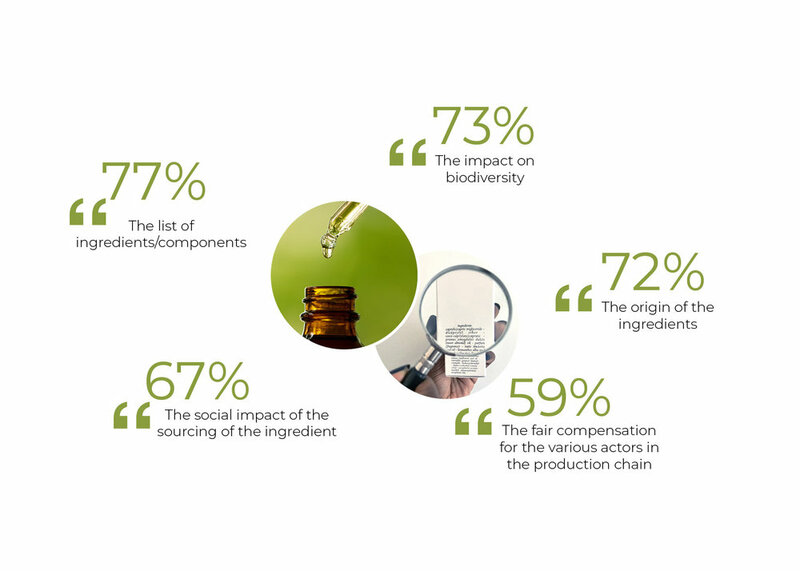 Transparency, both in terms of ingredients (extensive list and origin) and impact on biodiversity, are the two main elements that British consumers expect to get on the packaging of a product. However social impacts of the products seems less important in UK as fewer respondents request this type of information. Companies involvement in respecting biodiversity and people is a driver of purchase as most consumers surveyed in UK (64%) believe that they can positively impact society by buying products from companies that respect biodiversity and people. They feel active citizens. Also, 64% feel good when buying such a product. However, only 47% of respondents buy products from company that they know pay attention to biodiversity, thus allowing a great potential of growth for companies respecting biodiversity and people. In 2018, when asked about brands that respect biodiversity, less than half of the people interviewed in the UK were capable of naming at least one (49%). The brands mentioned below were the top three brands given by people who were able to name at least one brand. The Body Shop scored the highest far above Lush that arrives second. 2016 Street interviews featured below, showed some people struggled to connect brands with respect for biodiversity. However, others were able to name a few brands including The Body Shop, Lush or Weleda. Brands names that still resonates in 2018's ranking. Street interviews 2016- Question: How have you hear about these brands?